Titan Bet have really improved the number of betting markets and types of bet over the past year and have started to offer some decent bonus bets when you check them out. This is a member-only offer so you'll need to register a new account over at TitanBet.com before you can claim their £10 bonus bet just for betting on US based sport. Simply place five bets on any US sports betting markets that Titan Bet offer between Monday and Sunday and they'll credit your account with a Titan Bet bonus bet worth £10. Some of the US sports that Titan Bet offer account holders betting markets on include: NFL, CFL, NBA, NCAA, MLB, NHL and MLS so there's plenty to choose from! Terms apply to Titan Bet's 'US Sports' bonus bet offer, see website for full details. Before taking advantage of the Titan Bet promotion above, make sure you check out the Titan Bet new customer offer that you can claim if you aren't a member yet. Min first deposit required £10 deposit should be wagered once at odds of minimum 1/2 (1.5). Wagering requirements X 7 at minimum odds of 1/2 (1.5). Maximum winnings from the bonus is £500. Bonus is valid for 14 days. Bonus is for wagering purposes only. 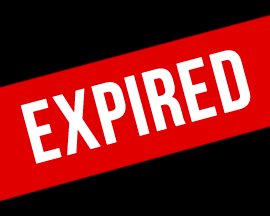 Deposits made with Skrill/Moneybookers and Neteller are not valid for this promotion. Remaining amount of original deposit can always be withdrawn. T&Cs Apply. 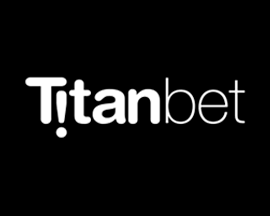 Plus, don’t forget to check out the Titan Bet promotions that account holders can use below, or read our review of Titan Bet to compare them to other online bookies. Get moneyback as a free bet if you lose and the odds on favourite also loses. 18+ T&C’s Apply. Place 5 'In-Play' bets of £10 or more over 7 days and you'll get a £10 free bet. 18+ T&C’s Apply.